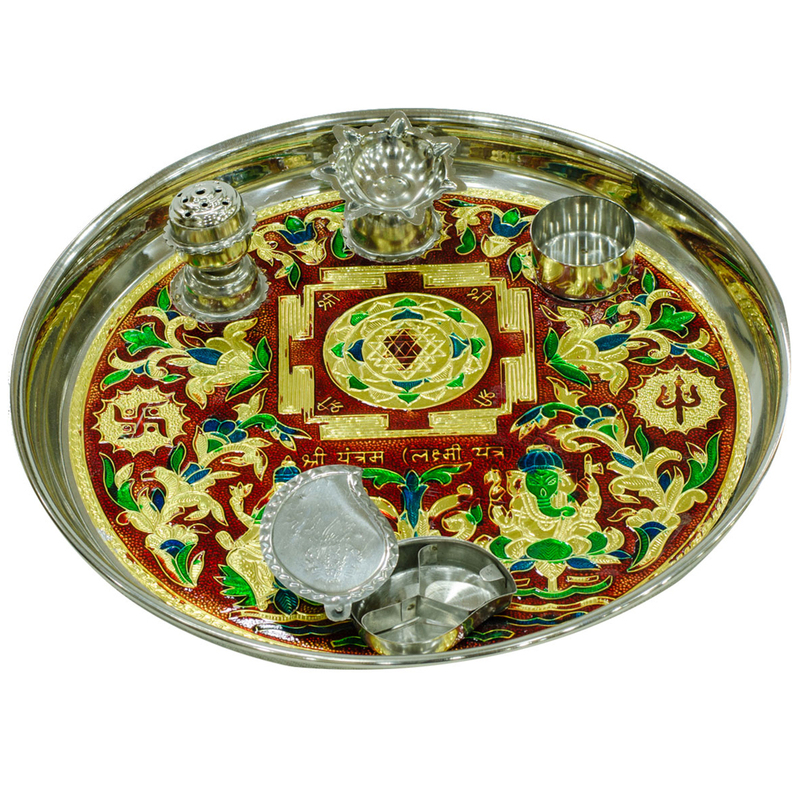 This steel meenakari pooja thali is a spectacular product. This product has four assorted panels like one for diya, one for incense sticks, one for Read More..candle and another katori. These are placed on all four corners. Vibrant colors are used to do the meenakari work all through the plate like red, yellow, orange, green etc. the colors make it more interesting and attractive. the image of ganesh seats in the middle. Show Less..